Home Is Material and Equipment Quality the Most Important Aspect of Job Quality? 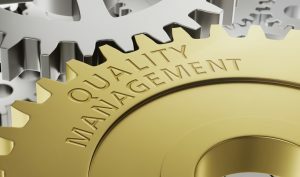 Is Material and Equipment Quality the Most Important Aspect of Job Quality? Every person has had this problem at one point or another in their lives: They’ve bought something at a great price only to find that it wasn’t such a bargain after all because it’s of poor quality. The same is true of construction supplies. Certainly, you can find very low prices but if the result is a poorly constructed home, you won’t have gotten a good bargain at all. Even if the product holds up long enough for the family to take possession, it can be damaging to your reputation for the home to have issues soon after. This is why Grove Hardware focuses not just on offering all the right products at competitive prices, but on ensuring that we offer only the highest quality materials. To learn more, read on. Then stop by our location or give us a call at 909-544-4331 if you have specific questions or needs. One of the best examples we’ve heard of this happening is a man who was an auction and bought an entire case of wood screws. He thought he was getting a great deal but the first time he tried to use one, the head stripped out. This left the screws sticking out of the wood and he had to use vise grip pliers just to get them out. He tried box after box but it just happened over and over again. This is a great example of how what seems like a low price can end up being a terrible value. Of course, the above example is a frustrating one but nothing terrible happened. Unfortunately, this is not always the case with poor quality job site supplies. Consider the example of the Sampoong Department Store. It was built with more materials and collapsed, which resulted in more than 500 deaths and over 1,000 injuries. Another example is the Chernobyl nuclear power plant, where low-quality concrete was almost used. Imagine how much worse that disaster would have been? Of course, determining that it’s important to have the right materials is only the first part of the equation. You must then also make find out where to get them. One option is to go down the list of materials you need and then research every option in the area to find the best choice for each thing on your list. This can take a lot of time and effort and is not the best option. Instead, we suggest you partner with a building supplies company you trust. For example, when you work with Grove Hardware, you can trust that we carry only high-quality products, materials, and equipment. We take our commitment to your needs seriously. Feel free to stop by today to get an idea of what your options are or give us a call at 909-544-4331 with any questions you may have about our inventory.